The ideal wine pairing brings a tasty meal to a whole new level. Having guests over to enjoy a variety of dishes along with a carefully chosen glass is a great way to try out several remarkable matches. 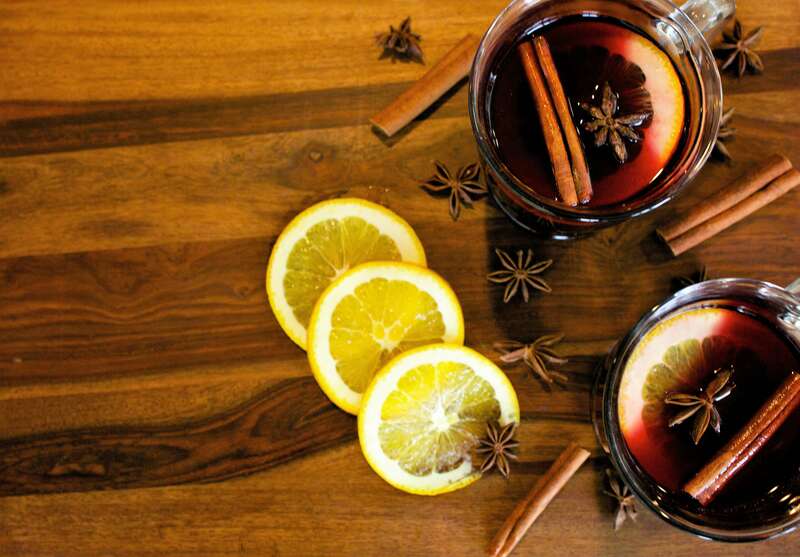 For students in online cooking courses, a wine party is an opportunity to stretch your skills and learn about combining flavors with exquisite results. Nothing gets a party started on the right foot quite like a hot bowl of cheese fondue. Gather guests around the pot and pour out glasses of a light, easy-to-drink white wine. For a traditional choice, opt for a Chasselas like the classic Fendant from the Swiss canton of Valais. Half Baked Harvest offered directions to ensure your dip is a real crowd-pleaser, beginning by tossing cubes of smoked gouda, gruyere and Swiss cheese in a bowl with cornstarch and cayenne. Prepare the fondue bowl by rubbing a clove of garlic along its sides. Pour 1.5 cups of the wine, plus a touch of brandy and truffle oil, into the pot and set on medium-low heat. When the mixture starts to bubble, gradually add the cheese a handful at a time and mix until fully combined. Season with grated nutmeg and pepper, maintaining a low heat until it’s time to serve. Provide crusty bread or toasted, garlic-buttered croissants for dipping. For a hearty entree, bring together a nicely seared, prime cut steak and a full-bodied red wine. Wine Enthusiast explained that a Cabernet Sauvignon cuts fatty meats with its high level of tannins. The pairing draws out both the fruity flavor of the wine and the savory beef tastes, allowing them to complement one another. You can also make the red wine a part of your steak recipe, as suggested by Serious Eats. The recipe starts with seasoning the meat in plenty of kosher salt and black pepper. Warm vegetable oil in a skillet over high heat until it starts smoking. Add the steaks, not moving them for three or four minutes. After they form a golden-brown crust, flip, throw two tablespoons of butter, thyme and minced shallots into the pan. Reduce heat to medium-high, occasionally basting the meat with fat as it continues cooking for around five minutes. Transfer the steaks to a rack positioned over a rimmed baking sheet, pouring some of the thyme, shallots and fat over the top. Loosely cover the steak with foil as it cools, and use the drippings remaining in the skillet to create a pan sauce. Add a cup of wine, plus chicken stock, minced shallot, Dijon mustard, butter, parsley, lemon juice, salt and pepper. 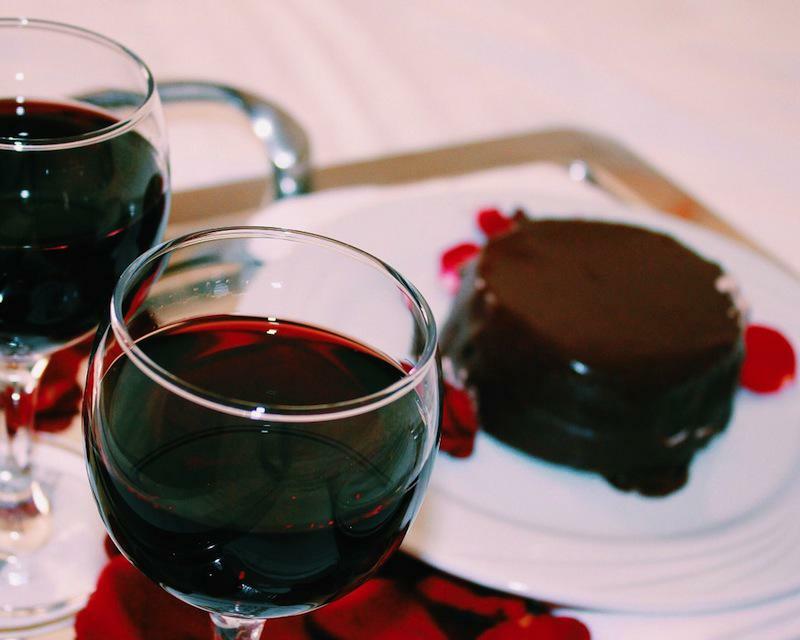 Sip a red wine with your favorite chocolate dessert. A sweet, smooth and fruity dessert wine is a fantastic choice to wash down rich chocolate. That’s why Cooking Light recommended enjoying a small glass of ruby port with a slice of triple chocolate cake. Prepare this delicious treat for your guests by stirring together a cup of boiling water, half a cup of cocoa and two ounces of bittersweet chocolate. Use cooking spray to coat two cake pans before lining them with wax paper, adding more cooking spray and a dusting of cocoa. In a bowl, beat granulated sugar, butter and vanilla extract, followed by three egg whites and sour cream. Separately, whisk together flour, baking powder, baking soda and salt. Gradually combine the flour, cocoa and sugar mixtures to form the batter. Pour the batter evenly into the cake pans and bake in an oven set to 350 degrees for 30 minutes. Allow to cool while preparing a filling of milk, granulated sugar, cornstarch, salt, milk chocolate and whipped cream.